With the success of the High Line, every city seems to be looking again at their old railroad tracks, seeing them as untapped assets instead of eyesores ready for the scrap heap. Chicago is getting ready to reveal its Bloomingdale Trail next year, while design work is moving forward with the Beltline in Atlanta. 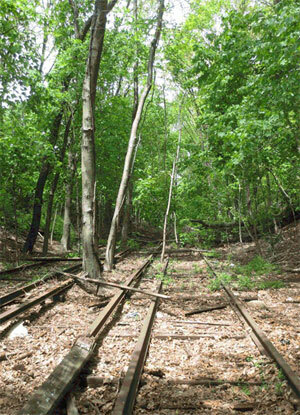 Now, a neighborhood in Queens, NYC, seeks to turn a 3.5-mile-long stretch of abandoned Long Island rail track into the foundation for a new park called the QueensWay, joining the ranks of those with major urban rails-to-trail projects. 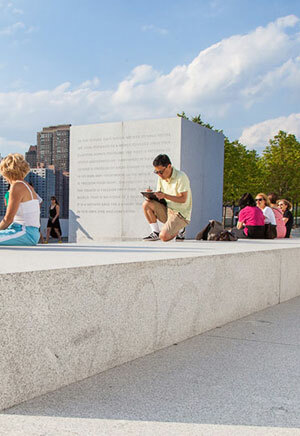 The Friends of the QueensWay and Trust for Public Land (TPL) just announced WXY architecture + urban design and landscape architecture firm dlandstudio, two New York-based firms, were selected to lead a comprehensive $1 million design and feasibility plan. These two firms beat out 29 other competitors. 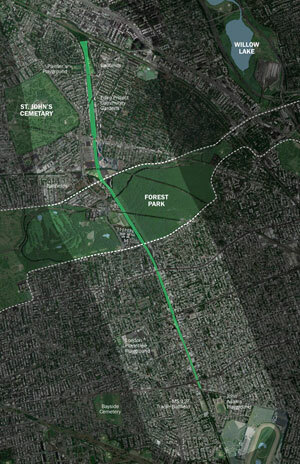 The two firms will lead a strategic planning and conceptual design process for the QueensWay, inviting local participants to contribute to the vision through workshops, meetings, and social media. 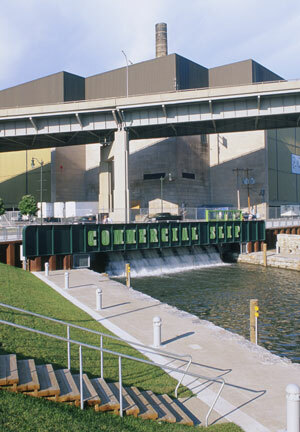 The plan will be financed by a $467,000 grant from the New York State Office of Parks, Recreation, and Historic Preservation, in cooperation with Governor Andrew Cuomo’s Regional Economic Development Council. 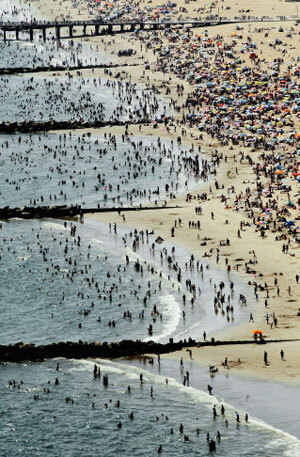 Another $140,000 will come from NYC’s Department of Environmental Protection. City funds will be used on “environmental and green infrastructure assessments.” Additional private sector donors include Citi, the Tiger Baron Foundation, and the Booth Ferris Foundation. 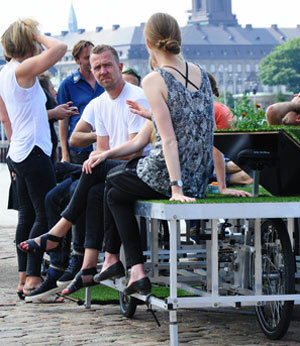 N55, a Copenhagen-based public art group, sees each unit as modules in a broader system.”The Parkcycle Swarm can be seen as a DIY urban planning tool that is as an alternative to the top down urban planning that dominates most cities in the world. N55 encourage persons to build their own cycles and form swarms and hereby influence their local urban environments.” They even propose certain “formations” for traveling. 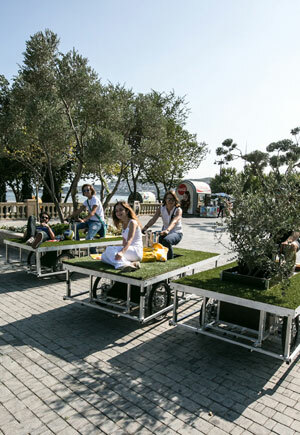 According to N55, each bike-park can be designed to fit with local bicycle standards. In their open-source manual, they show how to create one to comply with EU bicycle design standards. 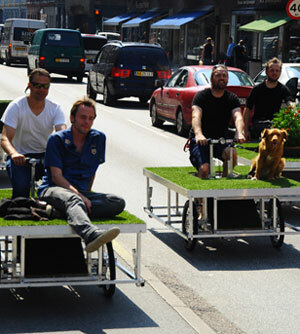 They encourage bike-parkers to create their own local standards, too. 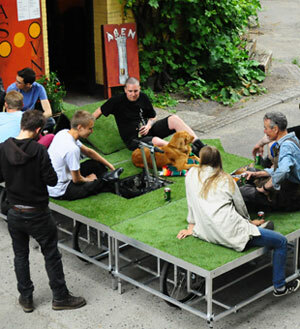 These types of DIY urban planning and landscape architecture projects appear to be coalescing into a nascent movement. 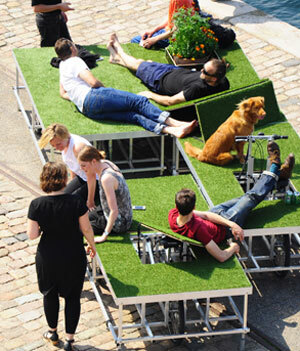 A number of urban design, landscape architecture, and public art organizations are exploring bottom-up concepts. 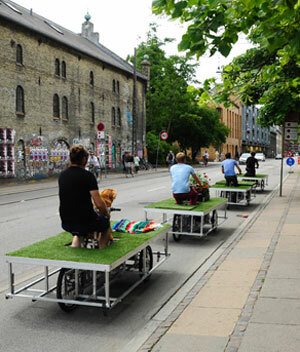 Together, these experiments are being called a range of isms, including DIY Urbanism, User-generated Urbanism, Flexible Urbanism, or Adaptive Urbanism (one non-ism variation is Iterative Placemaking). 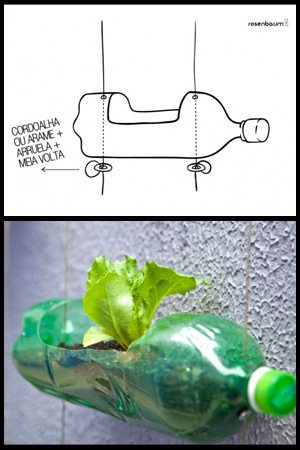 Clearly, this is just the beginning, and these designers will foment more creative experiments yet. To explore this world further, check out an upcoming 3-day conference organized by University of California, Berkeley and Rebar called Adaptive Metropolis, September 27-29. 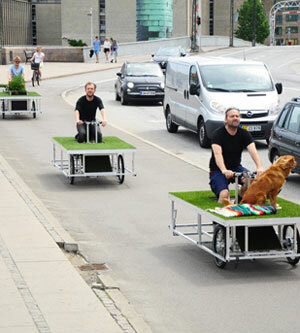 The organizers seek both “built and visionary (unbuilt) residential landscapes” from both professionals and students. While there are no monetary prizes offered, winners will become part of a publication and traveling exhibition. 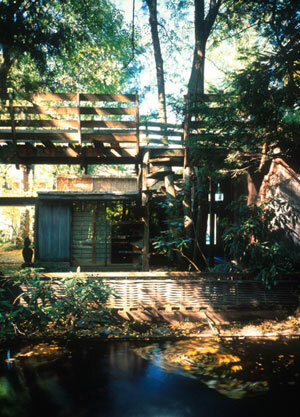 Rose called his private gardens, which were made with found objects, recycled materials, and native plants, “space-sculptures-with-shelters.” His novel approach had a purpose: to merge a “conservation ethic into a modern design aesthetic.” Rose’s point was that a place needed to be beautiful in order to be sustained (and sustainable). 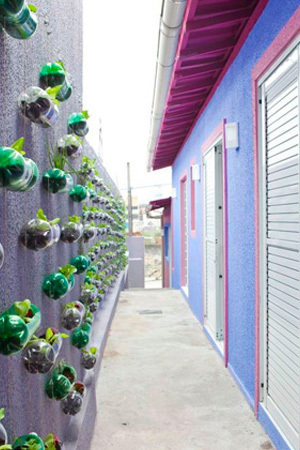 “Make the most of what’s already on the site (earth, rocks, plants, structures, water) before importing or removing anything. 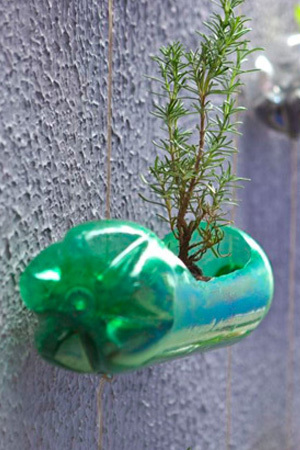 Use local, inexpensive, low-energy-consumptive, non-polluting materials and construction techniques before others. 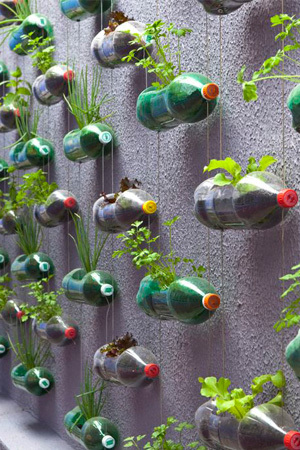 Consider the landscape’s potential to create useful resources rather than consume them. 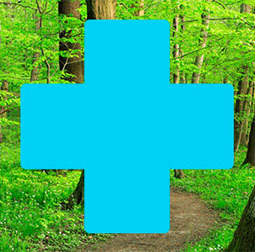 Consider the relationship of the site to larger environmental systems. 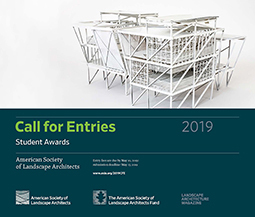 The competition is open to landscape architects, landscape designers, architects, individuals, teams or firms. Students will be considered in a separate category. The high-profile jury of landscape architects include: Andrea Cochran FASLA, Principal, Andrea Cochran Landscape Architecture; Tobiah Horton, LEED AP, Assistant Professor, Department of Landscape Architecture, Rutgers, The State University of New Jersey; David Kamp, FASLA, LF, NA, Dirtworks; Keith LeBlanc, FASLA, Keith LeBlanc Landscape Architecture, Inc.; and Darrel Morrison, FASLA, Ecological Landscape Design and Management. 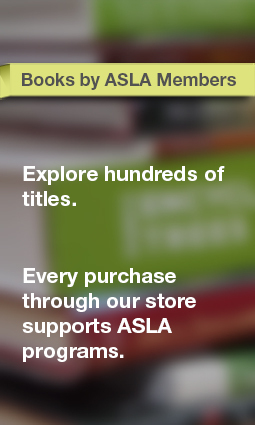 Entry forms are due by February 18, 2014, with submissions due by March 20. 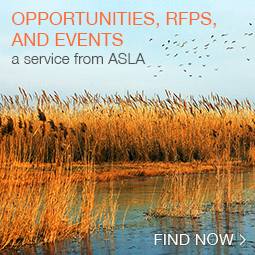 To submit, the fee for professionals is $115 and $50 for students. Check out previous winners, too. 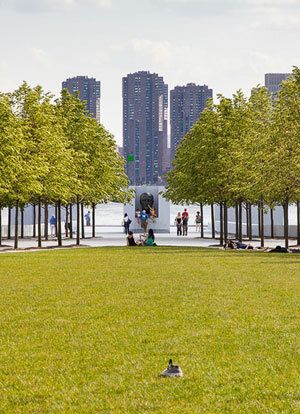 Photographer and video artist Barrett Doherty has created a beautiful 10-minute video that provides a vivid, experiential tour of the 4-acre Franklin Delano Roosevelt Four Freedoms Park in New York City. First conceived by architect Louis Kahn and his close collaborator, landscape architect Harriet Pattison, in the early 1970s, the park didn’t actually open until October last year, some 40 years later. This is Kahn’s first work in New York, and last work overall. In fact, he was carrying plans of the park when he died of a heart attack in Pennsylvania Station in New York City in 1974. The design was completed after Kahn’s death by David P. Wisdom and Associates and Mitchell/Giurgola Associates. 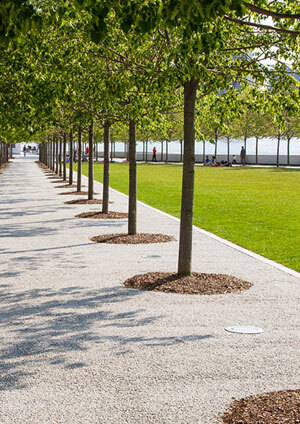 Located east of the UN complex at east 42nd street, the park is named after the “Four Freedoms” Roosevelt articulated in his 1941 state of the union. 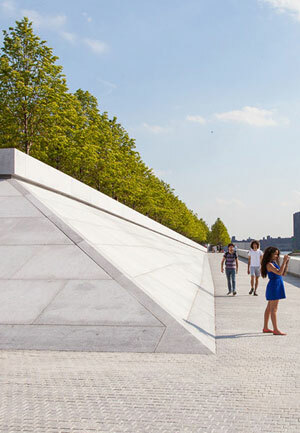 In Landezine, Doherty tells us the memorial was first delayed by Kahn’s death and then derailed by the ill fiscal health of New York City during the 70s and 80s. It took William J. vanden Heuvel, a former U.N. ambassador and founder of the Franklin and Eleanor Roosevelt Institute, to launch an effort in 2005 that built the momentum needed to finally realize Kahn and Pattison’s vision. 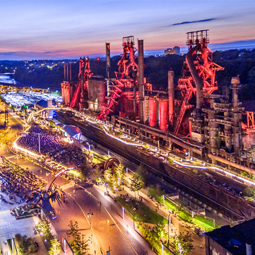 Gathering more than $50 million in private and public funds, the project began to move forward, once some legal disputes among the corporation charged with creating the memorial and the foundations involved in its financing were resolved. The House in the Garden, a place for amenities that was unbuilt. In Landezine, he provides a detailed explanation of site details that serve as a complement to the video. 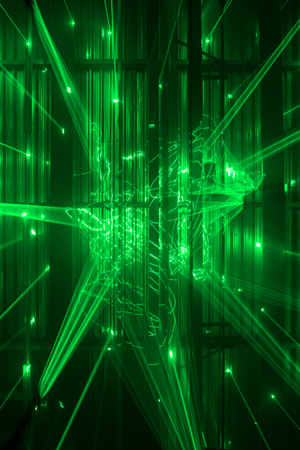 Forest, a 5,000-square-foot project from the recent STRP biennal in Eindhoven, Netherlands, is a completely interactive, stunning work of light art. 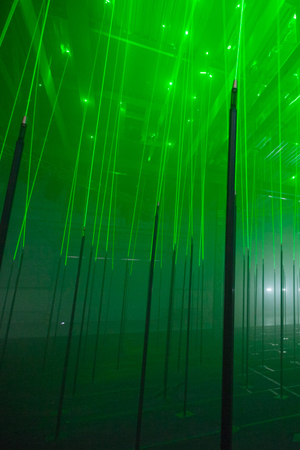 According to This Is Colossal, “this latest installation involves a forest of 150 interactive rods installed into an empty factory space.” The “trees” in this installation appear to be nothing more than flexible rods in the ground, but once activated, they shine green lasers, to wondrous effect. 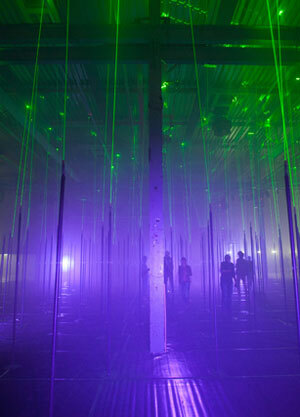 Visitors must interact with the trees to bring the entire forest of lasers to life. 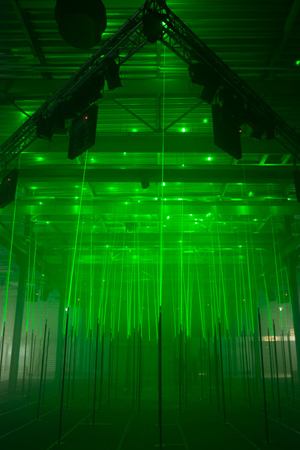 The project’s Website explains that the audience can explore by “tapping, shaking, plucking and vibrating the trees to trigger sounds and lasers.” The ambient music, somewhat reminiscent of Brian Eno’s Music for Airports or AudioTool’s ToneMatrix, paired with the surprisingly soft light, transports any visitor into a calming, yet surreal world. The installation comes to us from Marshmallow Laser Feast, a creative studio that merges art and technology in their works. The work was just one part of the grand plan. 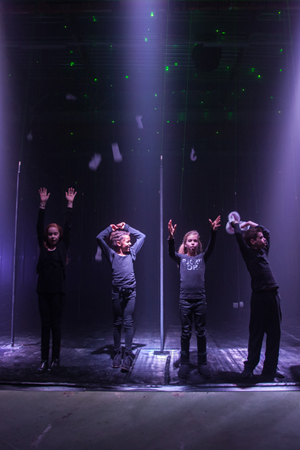 When the project premiered at the STRP Biennale —a 10-day hybrid festival of music, art and technology—a dozen young dancers performed a choreographed routine within the installation. 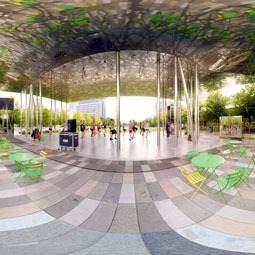 Also worth checking out is the new Funnel Tunnel, an installation by artist Patrick Renner. The piece, which is made from thousands of pieces of reclaimed wood, now meanders its way through Houston, Texas. A leaked draft report by the Intergovernmental Panel on Climate Change (IPCC), an international group of hundreds of scientists, 195 governments, and more than 100 non-governmental organizations, further increases the certainty that climate change is man-made. According to BBC News, the report will say these global experts are now “95 percent certain that our use of fossil fuels is the main reason behind the global rise in temperatures since the 1950s.” The report will also update the IPCC’s direst forecasts, contending that sea levels could rise by 3 feet by 2100 if nothing is done to limit carbon dioxide and other greenhouse gases in the atmosphere. 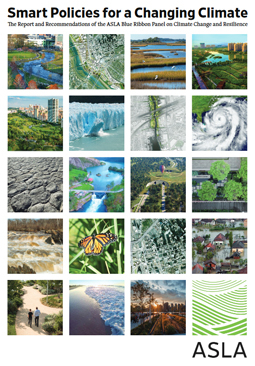 The 5th assessment report of the IPCC is the first major report by the U.N. group since 2007. On how much temperatures could increase if carbon dioxide levels in the atmosphere doubled, this new report will argue that the rise could be “as low as 2.7 degrees Fahreneheit.” This is a lower low-end estimate. The 2007 report “largely ruled out any number below 3.6 degrees Fahrenheit.” Some scientists argue that the IPCC is now being too conservative with its new estimates. On sea level rise, there is also a range of numbers, depending on whether governments get emissions under control. 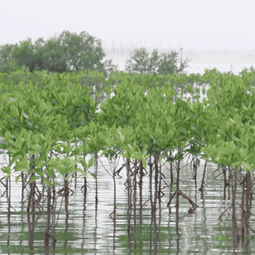 If they can, sea level rise could be “as little as 10 inches by the end of the century. 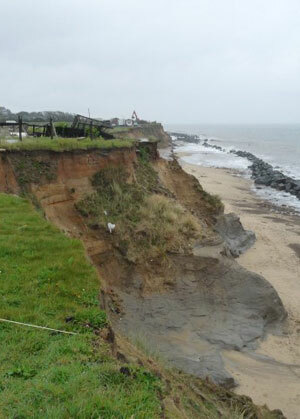 That is a bit more than the eight-inch increase in the 20th century, which proved manageable, even though it caused severe erosion along the world’s shorelines.” On the other hand, if nothing is done, sea levels could rise by 3-feet, presenting major threats for the hundreds of millions who live on coasts. There are still many areas where the world’s great climate scientists still disagree. According to The Guardian, debate is still on-going on how hurricanes will change in a warming world — “the most powerful hurricanes are becoming even more powerful, but the change in frequency is not known.” Furthermore, while extreme weather has increased, what will be the changes to tornadoes and thunderstorms? IPCC spokespeople argue that the report is bound to further change so it’s best not to put too much into the leaks. In fact, the 15-page executive summary, which is expected to be ready in mid-September, has already received 1,800 comments and counting. The debate on whether new bike lanes help or hurt business among street-level retail stores, bicycle advocates, local transportation departments, and politicians is nothing new. Seeing the same problems come up again and again, Seattle Transit Blog guest columnist, Kyle Rowe, University of Washington, set out to shed some light on the situation by “utilizing taxable retail sales data” to show what actually happened in Seattle neighborhood retail districts when bike lanes and other bicycle infrastructure were added. 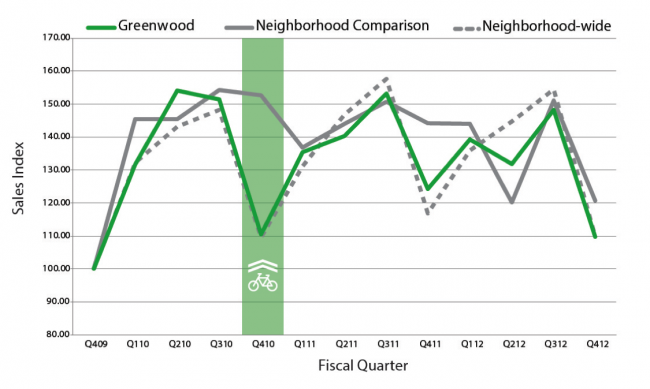 In his report called Bikenomics: Measuring the Economic Impact of Bicycle Facilities on Neighborhood Business Districts, Rowe argues that bike lanes have had a positive economic impact there, at least in the areas where the research was conducted. In the Seattle case study, Rowe attempted to “bridge that gap in knowledge” by using public retail sales data to show what happened to neighborhood business districts when bike lanes and other facilities are constructed. In the first example, Greenwood Ave N, the area “performed very similarly to the neighborhood-wide control, while differing slightly from the neighborhood comparison” after the bicycle lane was put in. Basically, there was no down-turn in retail sales. 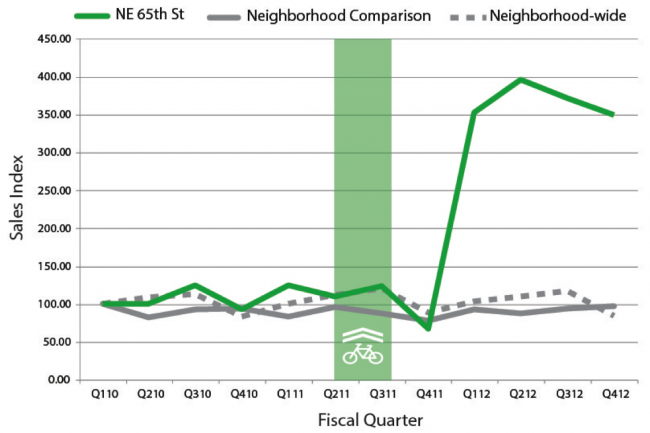 But for NE 65th St, the bicycle lane appears to have dramatically improved sales in the area. According to the study, two business quarters after the construction of the project (and removal of parking), NE 65th St “experienced a 350 percent increase in sales index, followed by a jump to 400 percent” in the next quarter. Though many factors could lead to the increase of sales in the second example, the study showed the addition of bicycle lanes had no negative effect on businesses in the districts. However, there are still other reports that dispute the positive effect of bike lanes on retail districts. In a 2011 survey of select retail stores on the Upper West Side of Manhattan, customers claimed they couldn’t find parking and businesses complain about delivery issues. “Parking tickets are up,” according to an article in The New York Times, “and business, apparently, is down.” To counter these claims, NYCDOT released a report in late 2012 claiming that businesses saw an improvement in retail sales of up to 49 percent if they were near protected bicycle lanes. This data, however, related to a three-block strip of 9th Ave. Otherwise, there was only a 3 percent boost Manhattan-wide. 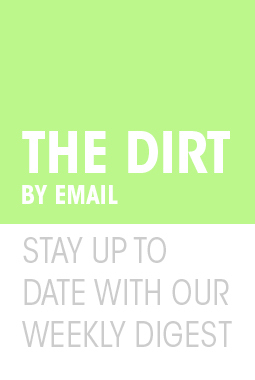 There are also disputes related to bikeshare infrastructure. In another clash in New York City, one CitiBike rack placement was recently deemed not kosher after a Chelsea co-op filed suit against the NYCDOT. According to a New York Post article, city attorney Mary O’Sullivan “compared the placement of CitiBike racks to designating streets for alternate-side parking or making a street one-way.” In other words, bad for parking and business. But without real data, retail stores have a hard time proving that putting in bike lanes or other infrastructure directly loses them business, just as planners struggle to prove the opposite. A simple Google search can throw you into either side of the debate, depending on which link you click. Rowe’s study is a great start. If a study like this was in every city that regularly makes updates to their bicycle infrastructure, the obstacles for bicycle advocates might not be so widespread. 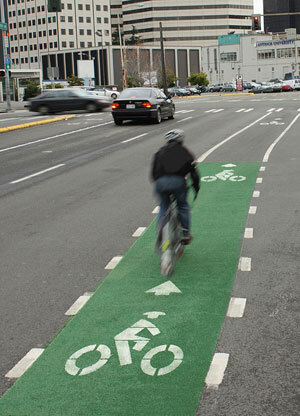 More research is also needed on the types of bicycle lanes with the biggest economic impact. 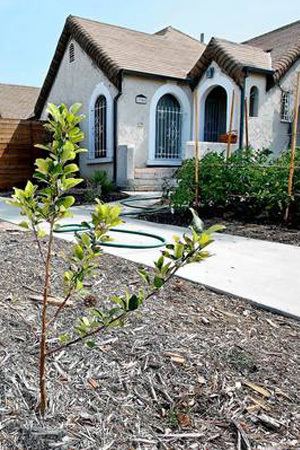 During the past month, debate over the legality of planting vegetables in public, residential parkways was raging once again in Los Angeles. The Los Angeles Times reported on the battle between two urban farmers and the city government, which demanded the gardeners uproot their edible landscapes, even threatening the gardeners with expensive citations. The urban farmers, backed by City Council President Herb Wesson and the local media, fought back. 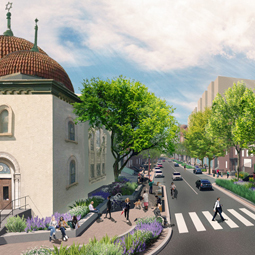 The end result: they finally got the city council to abandon its outdated approach and stop fining them. 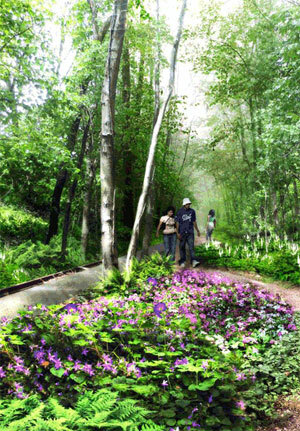 Patch.com reports that the city council has just agreed to let the parkways become edible. Then, according to the LA Times, “Zands got a notice in the mail last month from the Bureau of Street Services ordering him to remove [his] vegetable beds.” Sounded pretty criminal. Clare Fox of the L.A. Food Policy Council admits that the city’s restrictions were not entirely without merit. “She can understand the need to restrict growth” in situations that “hinder the view of drivers or blocks the light of street lamps,” for example. However, in this case, city officials explained that the citation reflects a matter of liability, stating that “if you slip and trip on the eggplant, you can sue the city.” The article suggests that there was a bigger liability issue left unattended in these “parkway” strips—technically owned by the city, such as ruptured sidewalks and other hazards caused by poor maintenance. The debate has been going on for a while now. A few years ago, a similar situation happened to Ron Finley, an urban farmer who faced a warrant to remove edible plants set within a 150-foot-long parkways in his neighborhood. Then, Councilman Herb Wesson took the gardener’s side, introducing a motion to allow parkway vegetable gardens. L.A. seems to be finally catching up to the agricultural revolution currently sweeping America’s cities. In March, Detroit adopted their first urban agriculture zoning ordinance to promote urban farming within their communities. New York, Chicago, San Francisco, and other cities are also far along. In a time where one-fourth of all agricultural land is seriously degraded and some 49 million Americans experience food insecurity, cities all across the country need to put stronger support toward turning untapped land into urban gardens instead of blurring the line between true liability concerns and outdated bureaucratic rule-making. Learn more about how urban agriculture can work in The Edible City, a recent ASLA animation.